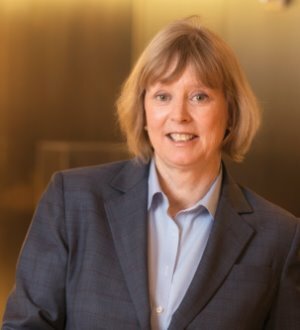 Ellen Goodwin is a partner in the firm’s 60-lawyer Real Estate Finance & Investment Group, the former co-chair of the Group and resident in the New York office. Ms. Goodwin concentrates her practice on commercial real estate finance and has represented investment banks, commercial banks, funds and insurance companies on a variety of loan transactions for both securitizations and portfolios, including construction loan financings, loan syndications and participations, co-lending and senior/subordinate arrangements and mezzanine finance. She has been in the forefront of CMBS 2.0 and acts as form and program counsel for a number of active CMBS lenders. Ms. Goodwin’s expertise additionally extends to the work-out, restructuring and foreclosure of both securitized and portfolio mortgage loans, and she has extensive experience working with special servicers. She represents both sellers and purchasers of whole loans, subordinate debt and mezzanine loans. Ellen is a frequent lecturer on various topics concerning real estate finance and work-outs and restructurings of mortgage and mezzanine loans. She speaks regularly for the Practising Law Institute, the New York State Bar Association, the New York City Bar Association and the International Council of Shopping Centers. Ellen is listed in The Best Lawyers in America in the Real Estate – New York category.